Photo: Stained glass with the four fathers of the early church: St Augustine, St Jerome, St Gregory and St Ambrose. Cologne, Cathedral. 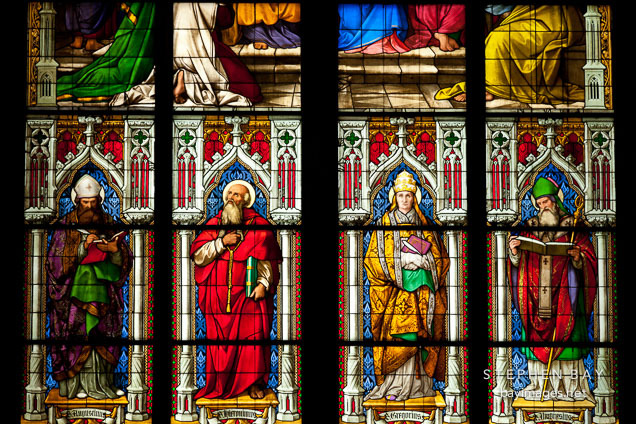 Stained glass with the four fathers of the early church: St Augustine, St Jerome, St Gregory and St Ambrose. Cologne, Cathedral.